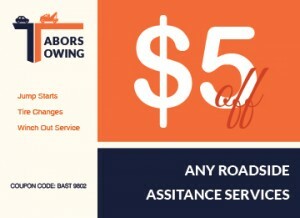 If you are badly in need of a roadside assistance service in Minnesota, we at Tabors Towing are willing to help you out. You do not need to think of any other company than us because we stick to our goal of giving the best assistance. We can say that our immediate roadside assistance is the best solution for your roadside trouble or breakdown. Even if it is just a minor or major vehicle issue, we can promise to help you get back on the road. You would love our customer service especially because it is offered at a reasonable price. One more thing is that we have the professional experience and tools to assist you. If you want, you can call us now to learn more about the services that we offer. From jumping batteries to changing flat tires, we can assure to give the assistance you need. You are assured to help you as an inclusive roadside assistance provider. 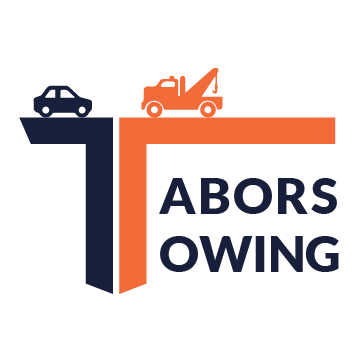 Call us now at Tabors Towing to help you with your disabled car! When you need a winch-out service, we at Tabors Towing can be of help. With our tow trucks that are equipped with winch-out cable lines, the more that you can expect help from us. These lines are actually capable of pulling out vehicles of any make, model or size. We also have our professional drivers who are experienced and trained when it comes to extracting vehicles even in difficult weather conditions. Our topmost priority is to keep the safety of our customers. That is why you need to let our expert team help you get back on the road fast. We also consider a few specific conditions such as vehicle location, work time and weather conditions. The best thing about us is that we offer safe winch out service and still beat or meet our competitor rates. 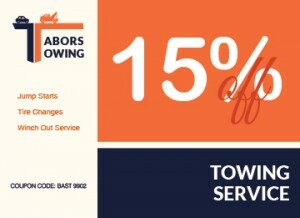 Call us now at Tabors Towing for a winch-out service. 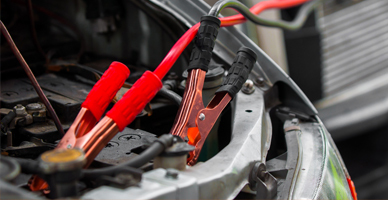 We understand that you will need a safe and quick jump start service if your car suddenly has a dead battery. This is because cars should never be on the road with no jumper cables. That is why if your battery goes dead, there is a need to do something about this. If you cannot connect them properly as you try to find ways to fix it, our team of experts can help you out. You need to ask for help from us if you want to avoid damaging your car or getting it shocked. It is a must to call Minnesota to offer you with a safe and quick battery jump start roadside assistance service in Minnesota. We promise you that we will make an effort to bring the battery back to life. Our team of experts can come to your location immediately. We will also make it sure that we make all significant connections before we boost the battery. Call us now at Minnesota for more information! You will find our professional car lockout roadside assistance service to be the most trusted in the industry. That is because of the fact that we use only the best lockout tools for car lockouts. We promise to you that we are available twenty-four hours a week, seven days a week. You need to depend on us more when it comes to this issue. Especially with our years of experience in the business, we believe we are the best company to rely on. If your car stops in the middle of the night, we can send our 24-hour emergency roadside assistance service in Minnesota team right away. You are assured of our team to help get you back on the road immediately. Our roadside assistance is reliable and fast that is worth of the money you will pay for us. That is why we suggest you to put your trust in us. Since we have the right experience and professional tools, we believe that we are the best service provider to contact to. A simple call will already mean a lot when it comes to the assistance of your vehicle.